This vivid lake shows up as a spectactular turqoise color even on Google Maps — in person, it is a startling, opaque greenish-blue. The lake fills one of the several maar explosion craters, craters left when super-heated groundwater explodes out from the ground, leaving pseudo-volcanic craters without any lava eruptions. 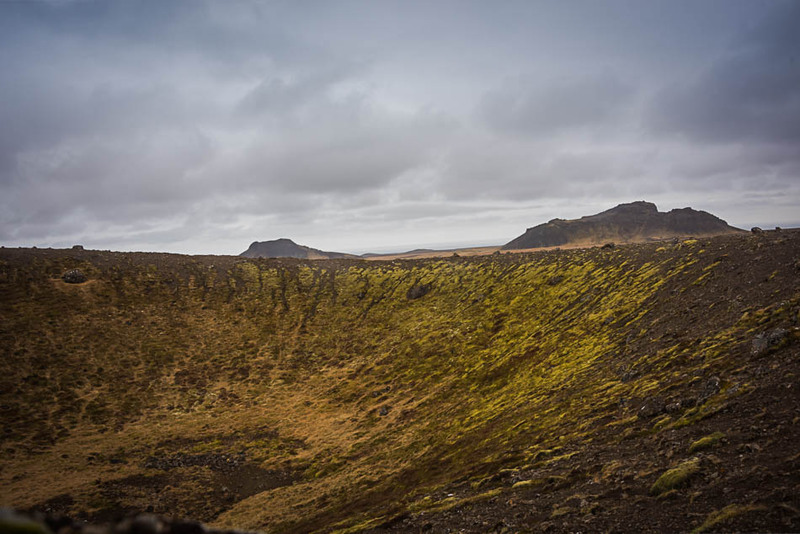 According to Iceland Geosurvey, the crater is about 6000 years old. 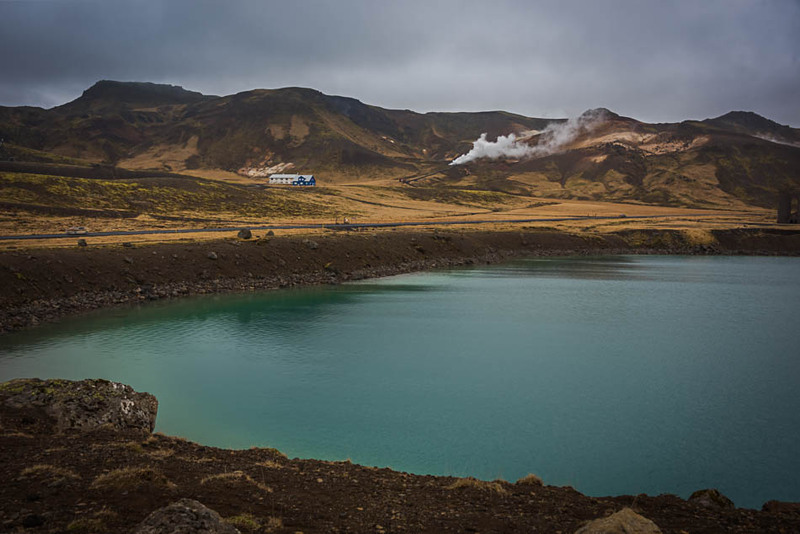 The lake is not round, like Kerið crater — instead it is the filled bowl of two separate explosion craters, one on the edge of another. The lake is also groundwater, with minimal inflow and outflow. The mineral content of the water accounts for the vivid color. I wish we could have seen it in bright sunshine, from other pictures I’ve seen, it nearly glows. From the viewpoint over the lake, you can see a string of explosion craters – just smaller ones that are not deep enough to touch the groundwater.